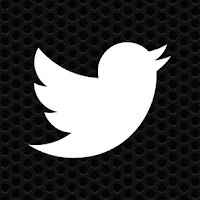 Twitter today is releasing its buzzed-about new service #music, which promises to "change the way people find music." The social media company said in a blog post that #music will be both a web platform and an iOS app that suggests music based on users' Twitter activity. Users can share music with their followers from the app by linking with iTunes, Spotify and Rdio, and find music recommended by people, especially musicians, they follow. The launch of #music follows news last week that Twitter had acquired We Are Hunted, the company that had been developing #music. "People share and discover new songs and albums every day," Stephen Phillips, founder of We Are Hunted, wrote on Twitter's blog. "Many of the most-followed accounts on Twitter are musicians, and half of all users follow at least one musician. This is why artists turn to Twitter first to connect with their fans — and why we wanted to find a way to surface songs people are tweeting about."